Hi folks .. I Hope you’re all doing okay now after we had a tiny reshuffle on GB7MB. Here’s a few channels that i see in various codeplugs occasionally, but they can be safely deleted now. They may be named slightly different in your codeplug though.. but they are generally named something similar. You probably don’t have these channels programmed in, (a good thing) but if you do – its prob best to delete them. UK wide 235 on slot 2 – this needs to go. It’s not used. North America – Tg 3 (either slot) this needs to go too..
Worldwide English on slot 2 – this needs to go also. This little move around is to free up slot 2 and move the non-local stuff over to slot 1, helping to stop users getting the busy signal when they TX sometimes.. You may still get the busy signal occasionally, but its either just the repeater giving its callsign.. on FM (yes, it does this) or its us testing roaming, which is not fully implemented on GB7MB yet. There will be an article about roaming on TG8 on here, when it is enabled and tested. Well, after local users being locked out of the local repeater due to non-local traffic tying up both slots, a decision was taken, after considering the facts, to drop a busy DMR-MARC talkgroup from slot 2. The talkgroup dropped was ‘Uk wide’, ID 235. But fear not local people, UK wide has not gone from GB7MB – it’s still there, but it’s on slot 1 instead. so please discontinue 235 slot 2 use, (because it wont go anywhere) and fire up your MotoTRBO CPS or CS700 software, and in the UK wide entry, change the drop down to ‘repeater slot 1‘ instead of 2. Users concerned about whether this will still allow inter-UK contacts need not worry, as many other UK DMR repeaters now are changing their UK wide (235) to slot 1 as well, thus ensuring its continuation, while allowing more local slot 2 talkgroups to be almost always free for locals, instead of before, when inbetween overs, TG 235 could rudely jump in to your QSO and effectively elbow you off slot 2 if you politely left ‘too long’ a courtesy gap. Also GB7MB carries talkgroup 8 now, (on slot 2) talkgroup 8 is a special ‘roaming’ talkgroup and this, in effect, links GB7MB up with other local repeaters GB7HM, GB7LP, GB7PN and GB7NM and shortly this talkgroup will prove to be very useful indeed for the NorthWest of the UK. example codeplugs and tutorials will appear on this website in due course. Roaming will allow you to drive from up in Cumbria (say), down through this area, down around Manchester, over to Liverpool and much of North Wales without you changing channel – it is automatic, all done in your rig by comparing repeaters ‘roaming beacon’ signal strengths, and switching channels for you accordingly. Regional talkgroups are important, and the more use that can be made of them, the better, as it reduces traffic on wider area talkgroups, like UK wide, as DMR is essentially a 2 RF channel system, proper and logical assignment of talkgroups & slots is a must if we are to keep the advantages brought to us by TDMA. Further changes in the UK are likely, as DMR is quite a new thing to amateur radio, and it’s useage will continue to grow, and some talkgroups will turn out to be good ideas, some not, and the hiccups that will surely follow, certainly make this area of the hobby quite interesting. GB7MB may suffer from a few interruptions today as a few adjustments are made. It may also be disconnected from the network so that we can upgrade some of the equipment. This could last until quite late this evening. It’s becoming apparent that there may be a firmware bug in MotoTRBO firmware 2.4 for Gen2 radios (DM4xx DP4xxx series) Obviously it will not show itself on all sets for all users, nor in the exact same way. We are pleased to say that GB7MB is now active and connected the DMR-MARC network. It should be all systems go this evening, as we expect just after 8pm this evening to be setting up GB7MB from it’s site – although it will not be in it’s own shack proper – that will come later, as will the Andrews Heliax feeder & the bit of mast work that is needed. Either way, we will be driving down to Heysham in a couple of hours, hoping for a successful installation. We will have tweaks and alterations to do soon, as we begin improvements at the site, and make preperations for project 2. TG (talkgroup) 8 roaming will appear on GB7MB shortly, enabling users to roam freely between GB7LP in Liverpool, GB7HM in Caergywrie (near Wrexham) and GB7PN in Prestatyn. This will be announced on here, Twitter and the Facebook group as soon as it is online. 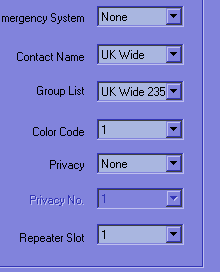 GB7MB frequencies are listed on the UK repeaters web site, and they’re here too. The repeater transmits on 439.700 – and listens for you on 430.700. We ask you to only use Talkgroup 9 for all operations until all Talkgroups are published in these places. We will be attending (have a stand) at the Blackpool Rally – where abouts we don’t know yet. When we do know, we will update the site here. January 10, 2015 / Author: Hax / Posted in: Amateur radio news, DMR News, GB7MB News, The Hot Air Machine..